SMHD is dedicated to developing new, affordable housing, as well as preserving existing housing in our 14-county area of operation. We are actively involved in the planning, construction and management of multiple affordable and mixed-income development projects in several counties. SMHD owns and manages 4 affordable housing communities and participates in the ownership of 11 mixed finance developments. SMHD, joined by private developer partners, developed its mixed finance properties by leveraging public and private financing such as Mississippi Regional Housing Authority No. VIII/HUD Capital Fund, Section 901 and Community Development Block Grant funding, low income housing tax credit equity and other private dollars. SMHD’s properties include public, Section 8 Project Based Voucher, Long Term Workforce, LIHTC, other affordable, and market rate housing units. 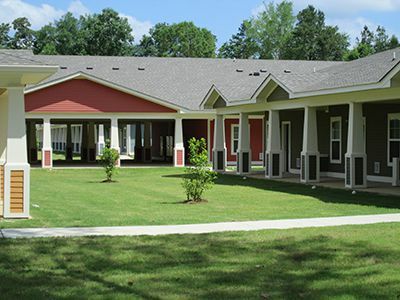 To learn more about more about our housing communities, please contact us at 228-287-0106.